The Forum for Healthcare Strategists is presenting the 2017 Healthcare Marketing & Physician Strategies Summit, to be held May 8 to 10, 2017 at the JW Marriott in Austin, Texas. The summit is considered to be one of the leading conferences for executives in marketing, strategy, and physician relations from healthcare-related organizations. 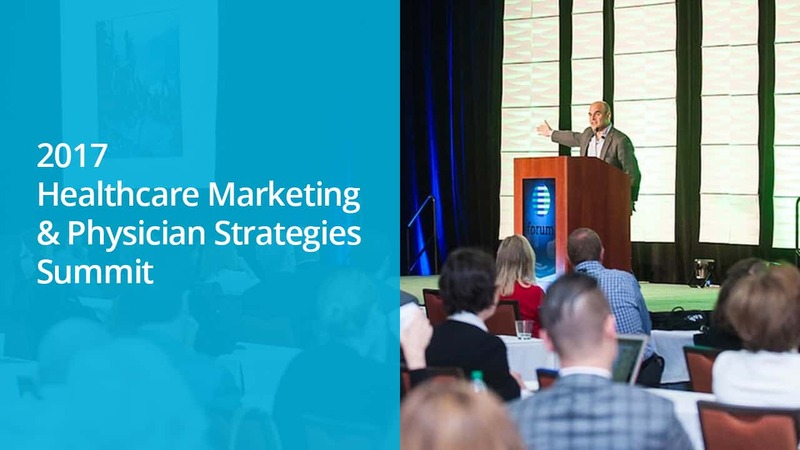 Mitch Joel, President of Mirum, a global digital marketing agency, will be one of the keynote speakers at the Healthcare Marketing & Physician Strategies Summit. He will discuss the importance of innovation during a time when healthcare consumers (rather than healthcare brands) have the power. Organizations have the opportunity to truly innovate by using the mass amounts of data available today. Empowered by disruptive technology and access to massive amounts of information, consumers are changing the way they make healthcare decisions. This is the message he wants the attendees of session to take away with them. “The culmination of all the input (about a company) doesn’t reside in somebody’s filing cabinet, or in some department’s PowerPoint deck; rather, it’s online and available for everybody to see,” he says. “It’s important to understand where your customers are at, what they’re engaging with, how they want to move forward,” he adds. “The online factor really only adds one additional component to the story. According to research by ReviewTrackers, the Voice of the Patient — as voiced in online reviews, social media, and other popular forms of customer feedback — is making an undeniable impact on the decisions of modern healthcare consumers. 62.7 percent of consumers consider online reviews as “important” or “very important” when selecting a local provider. Also, 63.3 percent trust reviews with a star rating of 4.0 to 4.5 stars out of 5. To find the right physician, patients harness online search features in order to filter out providers with poor reviews and rating scores. Survey respondents say that they are 68 percent likely to use search filters when looking for either primary care physicians or specialists. Other notable keynote speakers at the Healthcare Marketing & Physician Strategies Summit include Steven Kotler, bestselling author and award-winning journalist; Sally Hogshead, New York Times bestselling author and creator of the fascination advantage assessment; Paul Keckley, managing editor of The Keckley Report and independent healthcare research and policy expert.